September Sizzler Sale: 30 - 60% off and MORE! Please visit our Sale Section to see the 50+ items we have reduced in price! 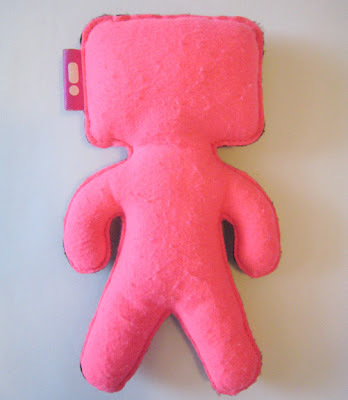 TOYTOY FACTORY: Handmade plushies from Brazil! You may recall that I showed up at GRNY a couple weeks ago for the Jon Burgerman show. While I was there, I met a super cool guy named Daniel who was on vacation from Brasil. 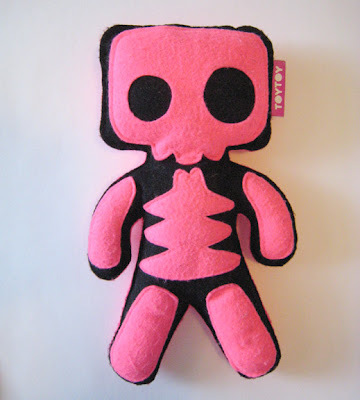 Turns out Daniel and his crew back home hand sew plush toys! Their company is called ToyToy Factory. 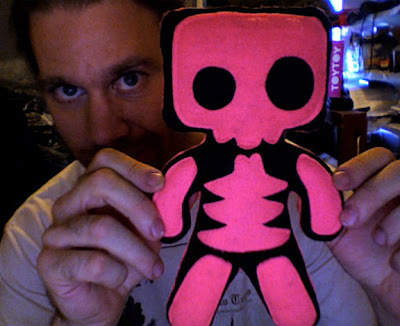 The next weekend as Daniel was heading back to Brasil, he left a present for me: this AWESOME ToyToy hand-made plush! This one's right up my alley- sort of evil and cute at the same time! 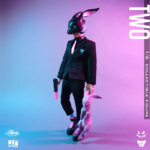 Please visit ToyToy's website or blog to find out more about how to order one of their colorful custom plushes for yourself. You can find ToyToy's images on Flickr and follow them on Twitter. I am also friends with some of the ToyToy people on Facebook, so you can contact Daniel Corso there as well. Thank you SO MUCH Daniel for this very kind gesture! Who's da BOMB?! custom show now live! Our Who's Da Bomb?! 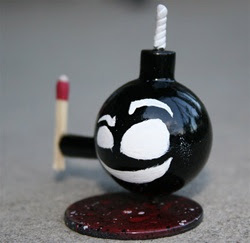 custom Toy2R Mini Bomb show is now live, featuring the work of nearly 50 different toy customizers! 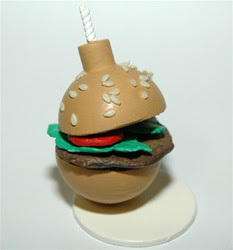 Much love and thanks to Lief of Delicious Drips for helping in so many ways, and Kevin from Toy2RUSA for helping provide some of the Mini Bombs that were sent to the artists!